I didn’t know anything about the All Ireland Scholarships until the envelope arrived. I was amazed that such a scholarship existed and winning this Scholarship meant so much to our family. 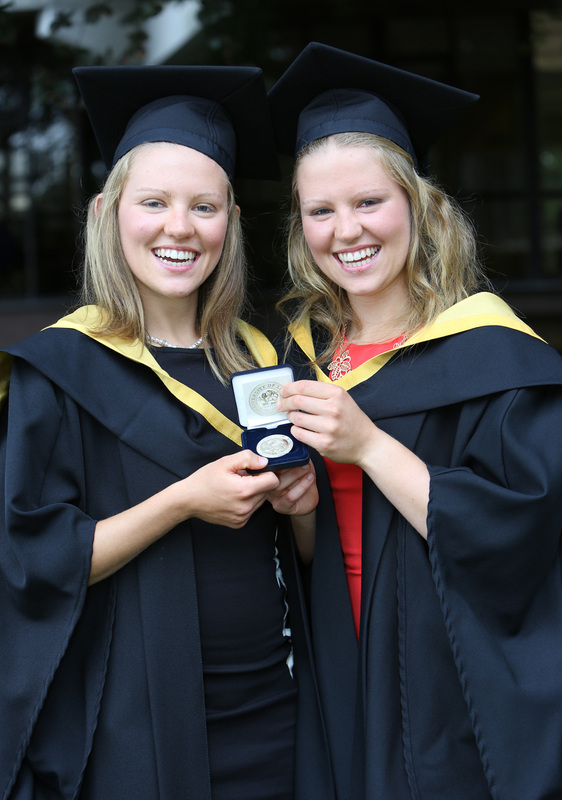 In 2010, I began my time at University of Limerick studying Sport and Exercise Sciences. As part of my undergraduate degree, I completed 8 months of work placement. I had the opportunity to work on a large European funded project as well as many other projects. Since then, I have worked with Athletics Ireland and have also worked with researchers from New Zealand. I even went to Loughborough University in England and got a chance to work with Shane Warne (former Australian cricketer), Sky Sports, English hockey players and many more. In August 2014, I graduated from UL with a First Class Honours Degree. I am currently undertaking a Research Masters in the area of physical activity and health in CIT where I am currently a member of the Project Spraoi research team whose aim is to increase physical activity and improve the nutritional habits of primary school children in Ireland. If it were not for the All Ireland Scholarship and the generosity of Mr. JP McManus, I would not be where I am today so a massive thank you to Mr. McManus. To win an All-Ireland Scholarship was amazing. I will be forever thankful to JP McManus and honoured to be a recipient of an All-Ireland Scholarship. Without it, the paths I have chosen and the opportunities I have had for the last four years would not have been possible. The scholarship relieved my parents of a great deal of stress and pressure. The All Ireland Scholarship enabled me to travel to Adelaide in Australia where I spent seven months completing my work placement (Co-operative Education) as a research assistant in the University of South Australia. Without the All Ireland Scholarship, I could not have done this and I am very grateful. The scholarship allowed us to make the long trip from Wexford to University of Limerick. Playing camogie for Wexford meant that on several occasions, we travelled home for training mid-week which would not have been an option had I not received the scholarship. I have now completed my BSc. in Sport and Exercise Sciences from UL. I graduated with a First Class Honours and was awarded the Silver Medal for First Class in the Department of Health Sciences as well as the WG Dugdale Award in the Physical Education and Sport Science Department. I am currently undertaking a research masters in the area of physical activity and health in CIT where I am part of the Project Spraoi team.